Have you ever come back to a paint job a few days later and noticed a reddish or yellow mark on the paint? We call that “Bleed Through,” and it’s one of the saddest hiccups to happen during a restoration project. It’s especially noticeable when painting things white! You can see the reddish bleed through in the corners of this table! That’s not dirt! 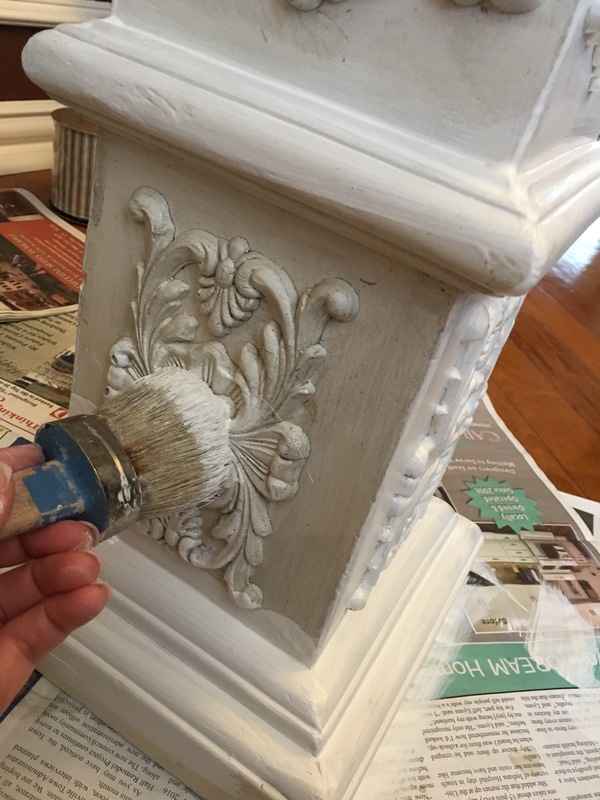 Whenever you paint over paint, the layers underneath get activated, and old stains, especially common in antiques and red woods, come sneaking through. No amount of new paint in that spot will cover it. Trust me, I’ve tried! This is why priming is essential! I learned this lesson the hard way after forgetting to prime all the doors on my first cabinet restoration project. Yellow streaks began appearing after a month and I felt sick! It was like a horror movie where the blood on the walls keep coming through time after time! 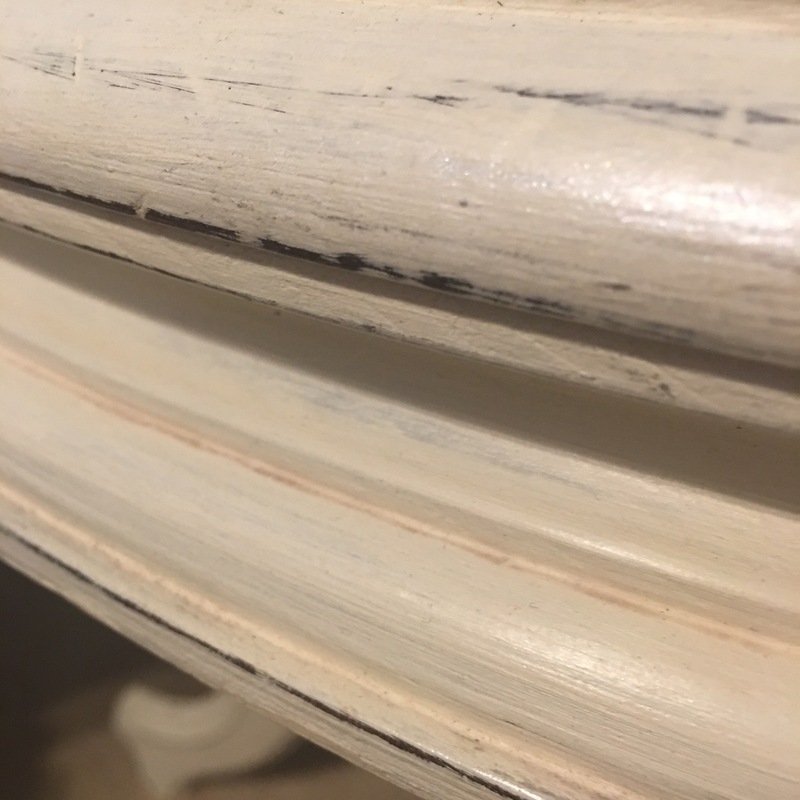 This is why I caution people to not get so excited about the chalk paint promise of not needing to sand or prime. I too was thrilled and bought it hook line and sinker! Only to find several pieces showing the stains. 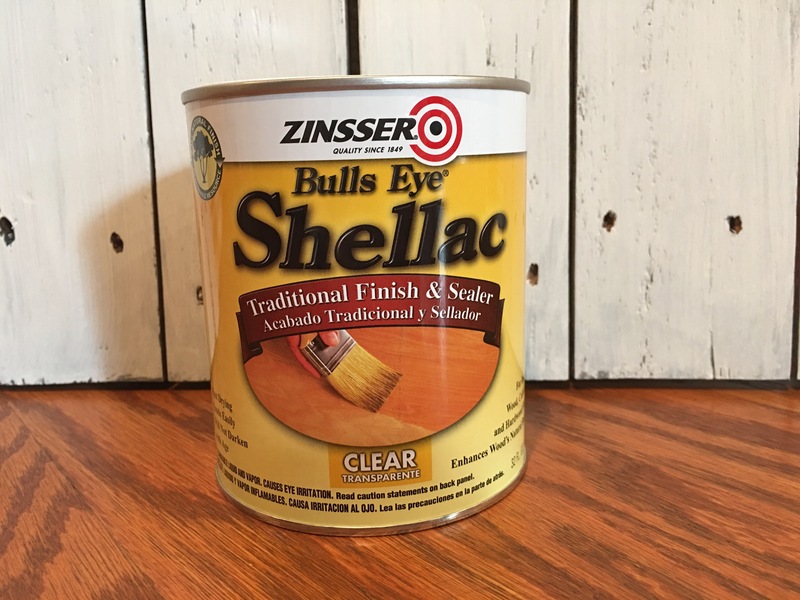 So when I heard about Zinsser Shellac I was intrigued. Disclaimer: I’m not getting paid to review this product. Wish I was (hint hint..) Still the fact that I paid $13.52 at Lowes for a can, makes this a very unbiased review! Shellac claims to offer a protective coat and prevent bleed through. 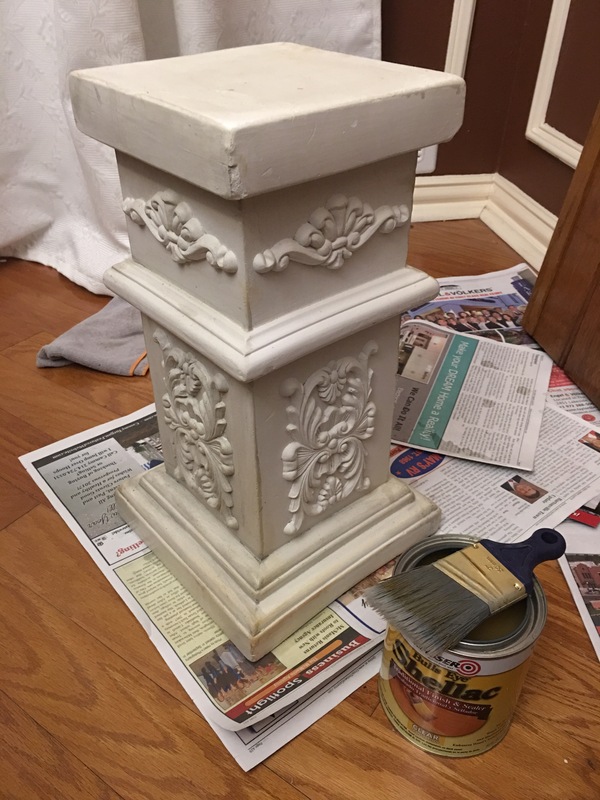 I found this plaster pillar at a flea market and couldn’t wash the stains off with soap and water. I had a sneaky feeling that I’d see major bleed through if I just painted it. I also tried Shellac it on this old door. I’m guessing the door is ancient… and you never know what stains were used! The product itself is super drippy. It felt like I was painting with water. I was glad I had laid the newspaper down! It went on yellowish. And even activated some of the grey paint that was left over in my brush, giving the column a weird green/grey look. It dried in about 3 hours. Super fast! It gave the dull wood of the old door a rich shiny look. It even made the scratch marks disappear! Cleaning my brush was a bust… I didn’t have the recommended Ammonia and the brush went as hard as a rock when I tried soap and water. Had to chuck it! 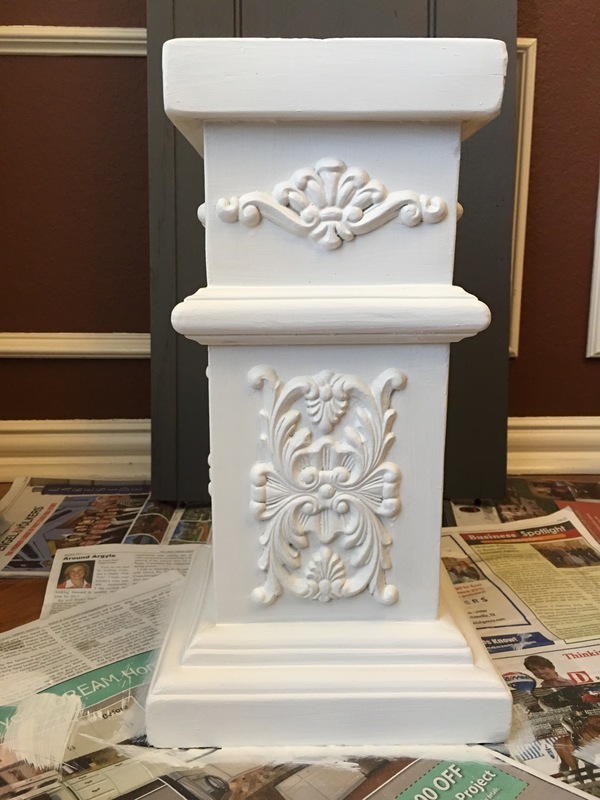 After the Shellac was dry, I used a chalk paint mixture I made, using SW “Pure White” paint, a small amount of Annie Sloan’s “Old White” for color and Plaster of Paris. I needed about 2 1/2 coats of paint for good coverage. 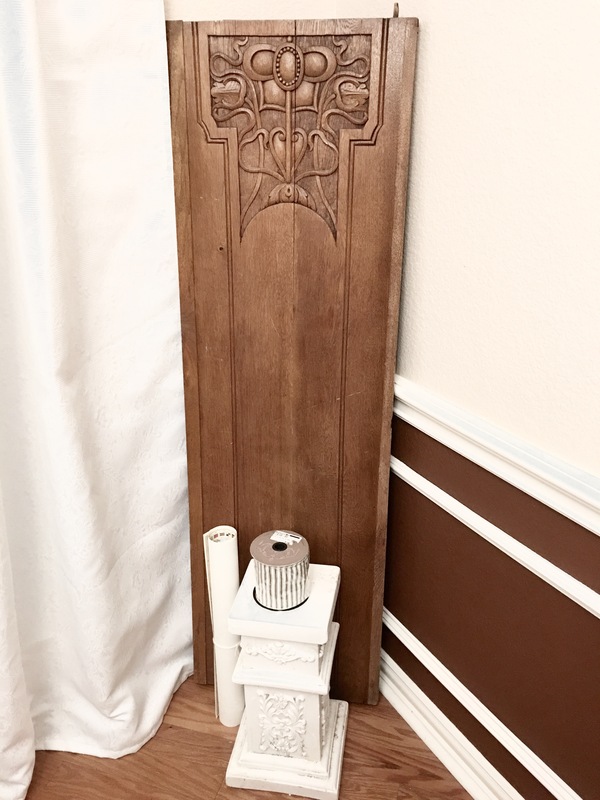 The door got a few other coats, which I’ll detail in another post. But the colum looks amazing! 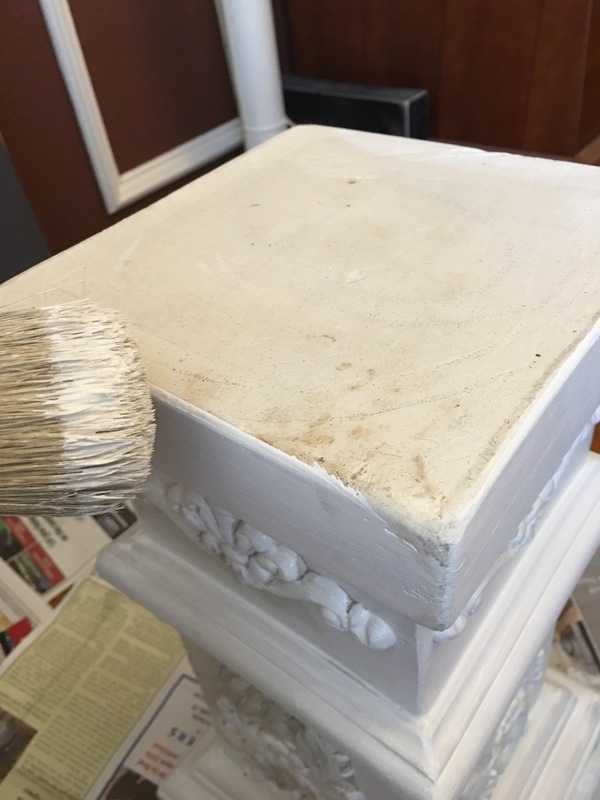 There is zero bleed through, and the chalky feel of the paint makes it feel like a plaster column when you touch it! I’m an avid Zinsser fan now! And I’ll be using this every time I use chalk paint! Has bleed through ever ruined one of your projects? Any slick tricks to fix it? I love this post!. As you know, this has happened to me on a couple of pieces and it is so disappointing. After reading your post though, I’m geared up for next time. And by the way, the pillar and door are gorgeous! I know! I so wish we had known this earlier!